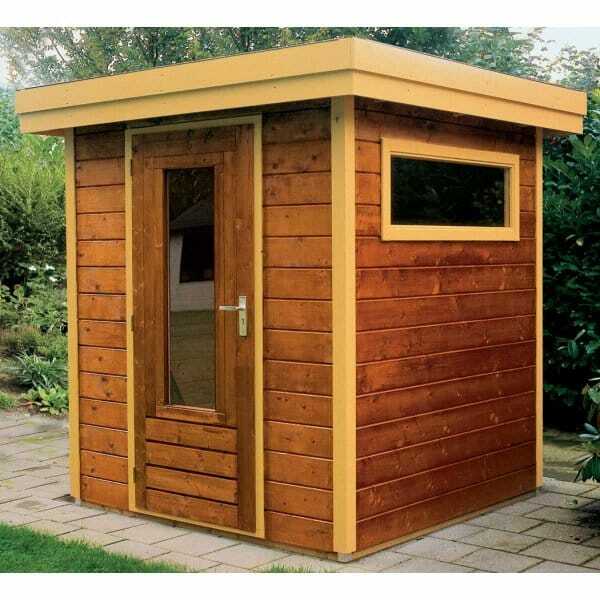 Lugarde Prima Thomas Garden Shed: The Lugarde Prima Thomas garden shed is a very sturdy excellent quality and rather stylish wooden shed. With its double locking single door and non-opening window, this wooden building offers a good level of security and what is a simple and attractive pent shed. The roof consists of a sloping upper layer so that water can drain away, covered with a single piece of rubber edged around with aluminium strips. These buildings are often used as connecting pieces in between two large Lugarde buildings to build multi room summer houses in the Lugarde Permata System and is available from Simply Log Cabins.